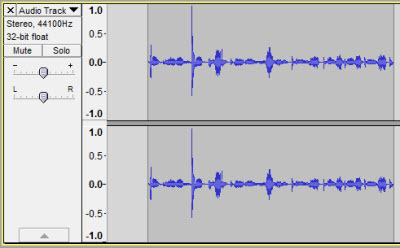 Below are instructions for some basic editing you can do with your audio files in Audacity before exporting them. Step 2:Click and drag to highlight the section you would like to delete. 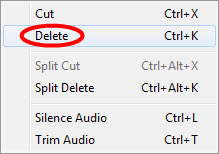 Step 3:Click the Edit button on the menu bar and hover over Remove Audio or Labels. You have now deleted a section of audio. 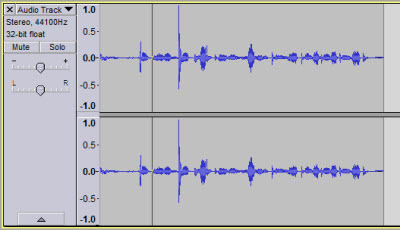 For a walk through of how to delete sections of audio, watch this Hoonuit video. 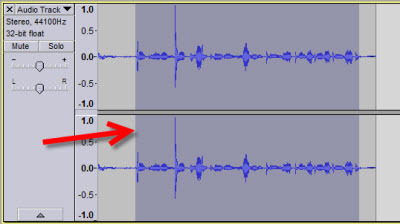 Step 2:Click and drag to highlight the part of the audio file you would like to keep. 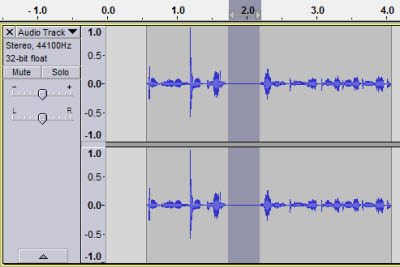 Step 3:Click the Trim Audio button. 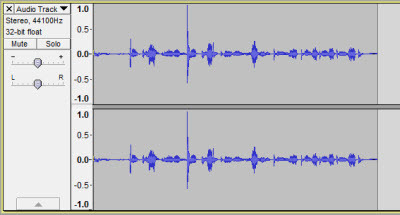 Your audio file has now been trimmed. 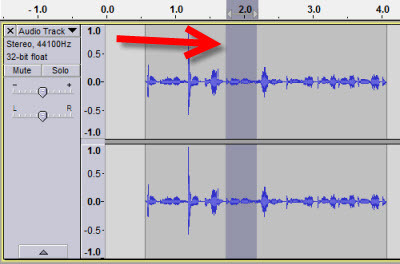 For a walk through of how to trim your audio, watch this Hoonuit video. 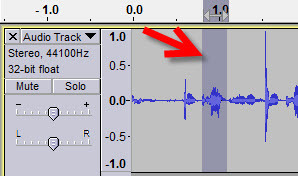 Step 2:Click and drag to select the section of the track that has background or unwanted noise in it. Step 3:Click the Silence Audio button. Step 4:Repeat for each section of unwanted noise. 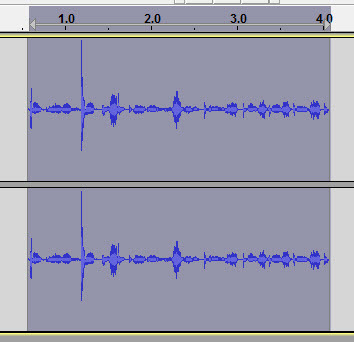 You have now removed background noise in your audio file. For a walk through of how to rid yourself of unwanted background noise, watch this Hoonuit video.